Figleaves Curve Monaco Buckle Bikini Top is rated 5.0 out of 5 by 1. Turn up the heat in the Monaco Swim collection from Figleaves Curve. 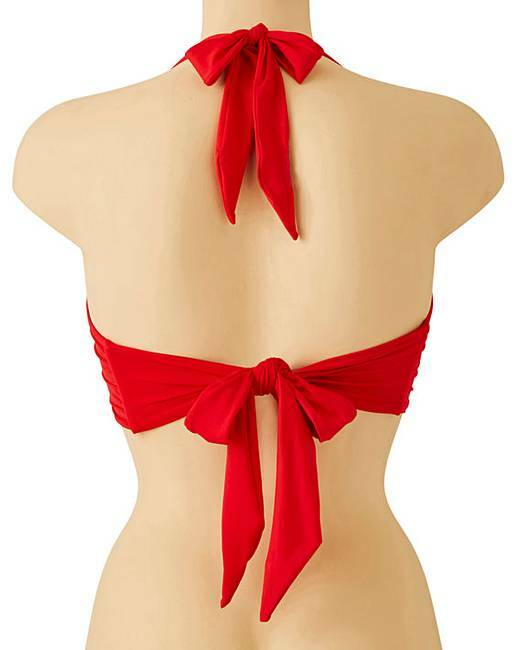 This non padded bikini top features halterneck tie fastening, buckle detailing to front & deep scoop neckline. Adjustable tie to the back for a customised fit, pair with the matching Monaco buckle bikini briefs for the complete look. 90% Polyester, 10% Elastane. Lining: Polyester. Rated 5 out of 5 by Sue8683 from Summer- ready! Lovely colour, perfect fit. Being rather top heavy I have problems finding well fitted bikinis, this one is perfect.